Women on a Mission: Mom Edition: TRAVEL CHRISTMAS ORNAMENTS! We just got back from our family vacation on a cruise to Belize and Cozumel. It was dreamy...especially the temps. We loved every minute of it...and I do plan to give a recap of the trip as well as provide you with some thrifty travel options and ideas to consider when booking a cruise. But first, a few quick Christmas themed posts. I realize tomorrow is New Year's Eve, but I am still in the spirit and wanted to get these in before the New Year. 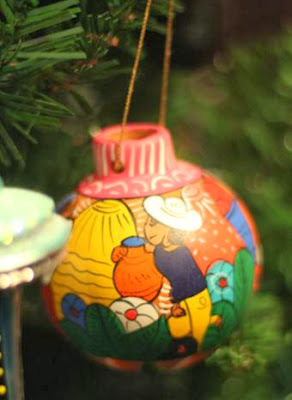 We continued our Christmas ornament travel tradition...and picked up three ornaments from our latest vacation. You can read more about the tradition here. A mini-ornament of our cruise ship Liberty of the Seas! Unfortunately, we did not visit the Belize islands, but did explore the main land and it was BEAUTIFUL! Finally, an ornament from Cozumel! 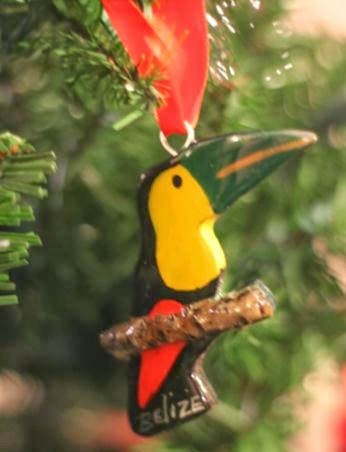 My sis also decided to start the ornament tradition. Souvenirs are GREAT, but to me this is the BEST! 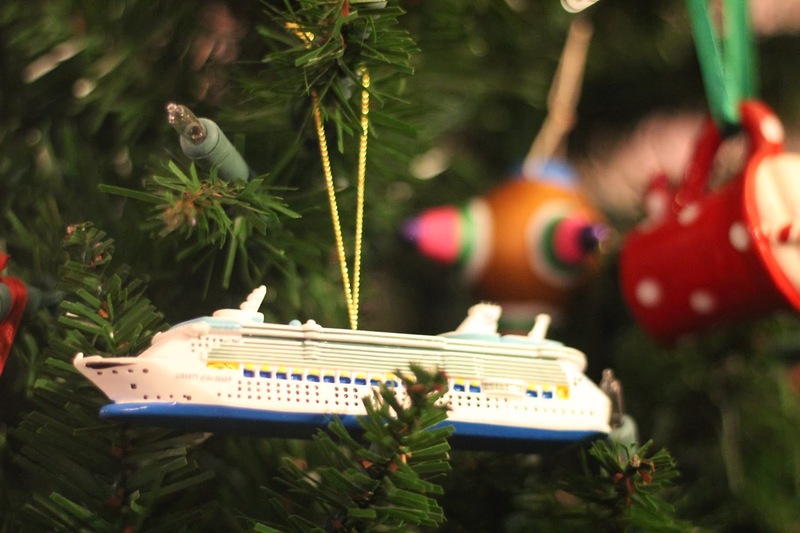 Each year as you decorate your tree, you can talk about your travels. Steve and I look forward to adding to our collection. Happy New Year's Eve! More holiday posts tomorrow!